What instruction is given concerning confession of sin? “Speak unto the children of Israel, When a man or woman shall commit any sin that men commit, to do a trespass against the Lord, and that person be guilty; then shall they confess their sin which they have done.” Num. 5:6,7. How futile is it to attempt to hide sin from God? “But if ye will not do so, behold, ye have sinned against the Lord: and be sure your sin will find you out.” Num. 32:23. “Thou hast set our iniquities before Thee, our secret sins in the light of Thy countenance.” Psa. 90:8. “All things are naked and opened unto the eyes of Him with whom we have to do.” Heb. 4:13. What different results attend the covering and the confessing of sins? “He that covereth his sins shall not prosper: but whoso confesseth and forsaketh them shall have mercy.” Prov. 28:13. How definite should we be in confessing our sins? “And it shall be, when he shall be guilty in one of these things, that he shall confess that he hath sinned in that thing.” Lev. 5:5. NOTE.-“True confession is always of a specific character, and acknowledges particular sins. They may be of such a nature as to be brought before God only; they may be wrongs that should be confessed to individuals who have suffered injury through them; or they may be of a public character, and should then be as publicly confessed. But all confession should be definite and to the point, acknowledging the very sins of which you are guilty.”- “Steps to Christ,” page 43. How fully did Israel once acknowledge their wrong-doing? “And all the people said unto Samuel, Pray for thy servants unto the Lord thy God, that we die not: for we have added unto all our sins this evil, to ask us a king.” 1 Sam. 12:19. When David confessed his sin, what did he say God did? “I acknowledged my sin unto Thee, and mine iniquity have I not hid. I said, I will confess my transgressions unto the Lord; and Thou forgavest the iniquity of my sin.” Psa. 32:5. Upon what did he rest his hope for forgiveness? “Have mercy upon me, O God, according to Thy loving-kindness: according unto the multitude of Thy tender mercies blot out my transgressions.” Psa. 51:1. What is God ready to do for all who seek for forgiveness? “For Thou, Lord, art good, and ready to forgive; and plenteous in mercy unto all them that call upon Thee.” Psa. 86:5. What is the measure of the greatness of God’s mercy? “For as the heaven is high above the earth, so great is His mercy toward them that fear Him.” Psa. 103:11. How fully does the Lord pardon when one repents? “Let the wicked forsake his way, and the unrighteous man his thoughts: and let him return unto the Lord. and He will have mercy upon him; and to our God. for He will abundantly pardon.” Isa. 55:7. What reason is given for God’s readiness to forgive sin? “Who is a God like unto Thee, that pardoneth iniquity, and passeth by the transgression of the remnant of His heritage? He retaineth not His anger forever, because He delighteth in mercy.” Micah 7:18. See Psa. 78:38. Why does God manifest such mercy and long-suffering toward men? “The Lord is not slack concerning His promise, as some men count slackness; but is long-suffering to us ward, not willing that any should perish, but that all should come to repentance.” 2 Peter 3:9. What prayer did Moses offer in behalf of Israel? “Pardon, I beseech Thee, the iniquity of this people according unto the greatness of Thy mercy, and as Thou hast forgiven this people, from Egypt even until now.” Num. 14:19. What reply did the Lord immediately make? “And the Lord said, I have pardoned according to thy word.” Num. 14:20. When the prodigal son, in the parable, repented and turned toward home, what did his father do? “When he was yet a great way off, his father saw him, and had compassion, and ran, and fell on his neck, and kissed him.” Luke 15:20. How did the father show his joy at his son’s return? “The father said to his servants, Bring forth the best robe, and put it on him; and put a ring on his hand, and shoes on his feet: and bring hither the fatted calf, and kill it; and let us eat, and be merry: for this my son was dead, and is alive again; he was lost, and is found.” Luke 15:22-24. What is felt in heaven when a sinner repents? “Likewise, I say unto you, there is joy in the presence of the angels of God over one sinner that repenteth.” Luke 15:10. What did Hezekiah say God had done with his sins? “Behold, for peace I had great bitterness: but Thou hast in love to my soul delivered it from the pit of corruption: for Thou hast cast all my sins behind Thy back.” Isa. 38:17. How completely does God wish to separate sin from us? “Thou wilt cast all their sins into the depths of the sea.” Micah 7 :19. “As far as the east is from the west, so far hath He removed our transgressions from us.” Psa. 103:12. How did the people respond to the preaching of John? “Then went out to him Jerusalem, and all Judea. and all the region roundabout Jordan, and were baptized of him in Jordan confessing their sins.” Matt. 3:5,6. How did some of the believers at Ephesus testify to the sincerity of the confession of their sins? “And many that believed came, and confessed, and showed their deeds. Many of them also which used curious arts brought their books together, and burned them before all men: and they counted the price of them, and found it fifty thousand pieces of silver.” Acts 19:18,19. Through whom are repentance and forgiveness granted? “The God of our fathers raised up Jesus, whom ye slew and hanged on a tree. Him hath God exalted with His right hand to be a Prince and a Saviour, for to give repentance to Israel, and forgiveness of sins.” Acts 5:30,31. What is the only unpardonable sin? “Wherefore I say unto you, All manner of sin and blasphemy shall be forgiven unto men: but the blasphemy against the Holy Ghost shall not be forgiven unto men. And whosoever speaketh a word against the Son of man, it shall be forgiven him: but whosoever speaketh against the Holy Ghost, it shall not be forgiven him, neither in this world, neither in the world to come.” Matt. 12:31,32. 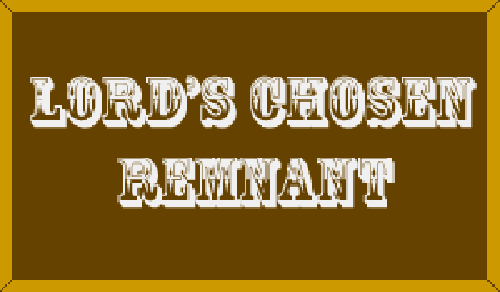 NOTE.-As the Holy Spirit is the agent that convicts of sin, and brings the offer of pardon through the Word, the denial of the Spirit’s work is the refusal of pardon. In other words, the only unpardonable sin is the sin which refuses to be pardoned. Upon what basis has Christ taught us to ask forgiveness? “And forgive us our debts, as we forgive our debtors.” Matt. 6:12. What spirit must those cherish whom God forgives? “For if ye forgive men their trespasses, your Heavenly Father will also forgive you: but if ye forgive not men their trespasses, neither will your Father forgive your trespasses.” Matt. 6:14,15. What exhortation is based on the fact that God has forgiven us? “And be ye kind one to another, tender-hearted, forgiving one another, even as God for Christ’s sake hath forgiven you.” Eph. 4:32. In what condition is one whose sins are forgiven? “Blessed is he whose transgression is forgiven, whose sin is covered. Blessed is the man unto whom the Lord imputeth not iniquity, and in whose spirit there is no guile.” Ps. 32:1,2.